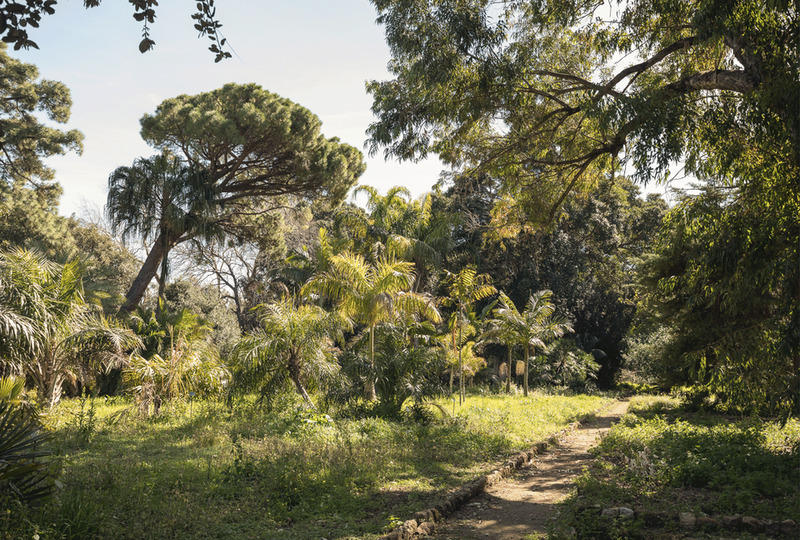 Palermo’s botanical garden will be one of the main venues of Manifesta 12 when it opens in the Sicilian capital next June. The roving European biennial’s four “creative mediators”—the Sicilian-born partner of Rem Koolhaas’s Office for Metropolitan Architecture (OMA), Ippolito Pestellini Laparelli, the Swiss curator Mirjam Varadinis, the Spanish architect Andrés Jaque and the Dutch filmmaker and journalist Bregtje van der Haak—unveiled their garden-inspired curatorial concept in Rome and Palermo last week. None of the participating artists have yet been revealed. The interdisciplinary exhibition, The Planetary Garden: Cultivating Coexistence (16 June-4 November 2018), takes its name from an environmental manifesto by the French botanist Gilles Clément. The show will develop through four sections: Garden of Flows, Out of Control Room, City on Stage and Teatro Garibaldi—the latter being the name of the city theatre that opened as Manifesta’s headquarters in July. Among the venues are Piazza Magione, whose park will host open-air film projections and public events, as well as the Church of Saints Euno and Giuliano, which reopened after more than 70 years this February with an installation by the Egyptian artist Wael Shawky. The prestigious 18th-century Palazzo Butera, which the Milanese collectors Massimo and Francesca Valsecchi are renovating as a private museum, will also open to the public as part of Manifesta. The nearby Botanical Garden, with its neoclassical Gymnasium, Calidarium and Tepidarium buildings, is to host the biennial’s opening section, exploring “toxicity, plant life and the culture of gardening in relation to the transnational commons”, the curators say in a statement. They call the garden, which was founded in 1789, a “key inspiration” for a curatorial vision that sees Palermo as “a laboratory for diversity and cross-pollination, shaped by continuous migration”. For Manifesta’s founding director, Hedwig Fijen, the 12th edition draws “added value” from its location in a city where “important geopolitical, social and ecological realities of our times are arising”. The organisation previously announced its ambition to make the biennial a “sustainable platform for social change”, in conjunction with Palermo Atlas, an urban study completed by OMA this summer. The event is already the lynchpin of mayor Leoluca Orlando’s winning bid for Palermo as Italy’s capital of culture in 2018.